Seafair, Seattle’s consummate summer festival, began in 1950 as Sea Fair, a 10-day “water festival”. The first festival was organized by a committee of businessmen from the community to commemorate the 100th anniversary of the city*. Seafair is primarily about community, civic pride, affordable fun, and of course, the water wonderland we call home in the Puget Sound region. 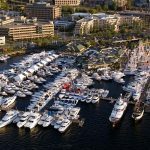 However, Seafair organizers also envisioned the summer festival continuing as an annual event to promote the beauty and pride of the region and attract tourists to the Pacific Northwest. They certainly succeeded. Today, Seafair is a summer-long festival event made up of dozens of sanctioned events, including neighborhood parades, cultural festivals, Seafair Pirates, a royal court, the evening Torchlight Parade, “fleet week” on the Seattle waterfront, and the grand finale “Seafair Weekend” featuring the Blue Angels air show and hydroplane races. *Seattle’s founding year is 1851. 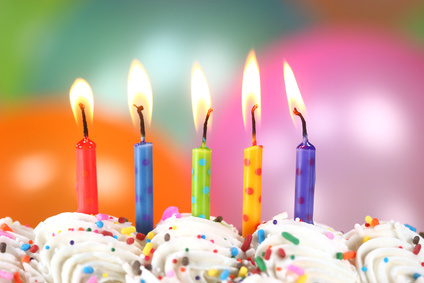 Seattle was founded by members of the Denny party, who arrived at Alki Beach on November 13, 1851. In April 1852, they relocated to the eastern shore of Elliott Bay. 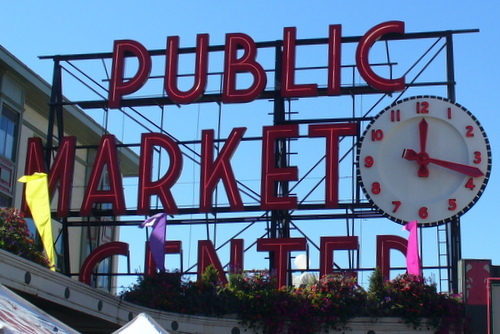 The first plats for the “Town of Seattle” were filed on May 23, 1853. Source: http://www.historylink.org/File/303. Original Seafair events in the 1950s included amateur sports tournaments, a royal court, a bicycle race around Lake Sammamish, a steamboat race on Elliott Bay, a Coast Guard lifeboat race, the Aqua Follies at Green Lake, fireworks’ displays, and many other performances, events, and neighborhood festivals and parades throughout King County. 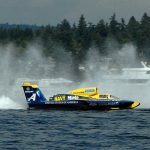 The finale of Seafair was the exhilarating “Gold Cup” unlimited hydroplane races on Lake Washington. 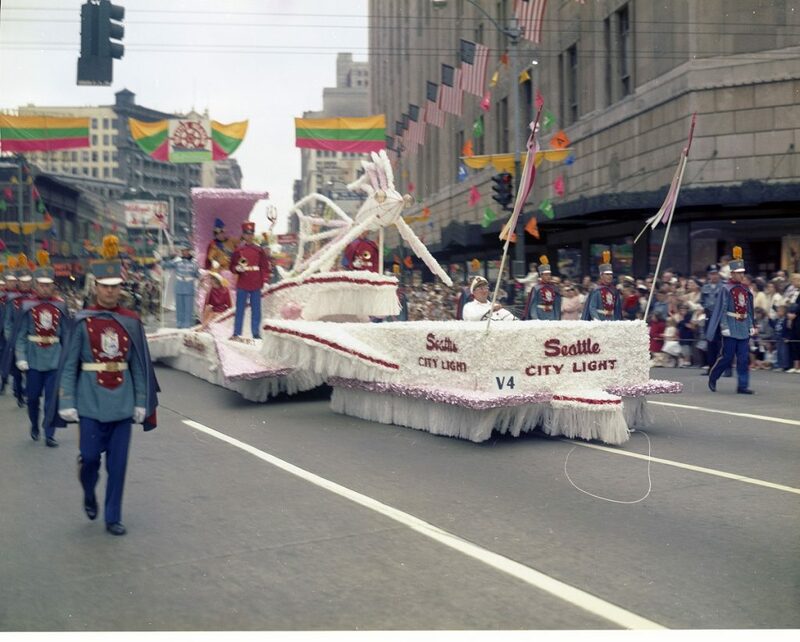 Read more about Seafair history at http://www.historylink.org/File/1470 and http://www.historylink.org/File/2567. The following events are interesting early elements of Seafair that are no longer a part of today’s festival. In the earliest days of Seafair, a ship (no longer in use, obviously) was loaded with fuel, explosives, and fireworks, and ceremoniously set on fire in Elliott Bay. After the fanfare, the fire was put out, and the ship towed farther out into Puget Sound, and sunk. 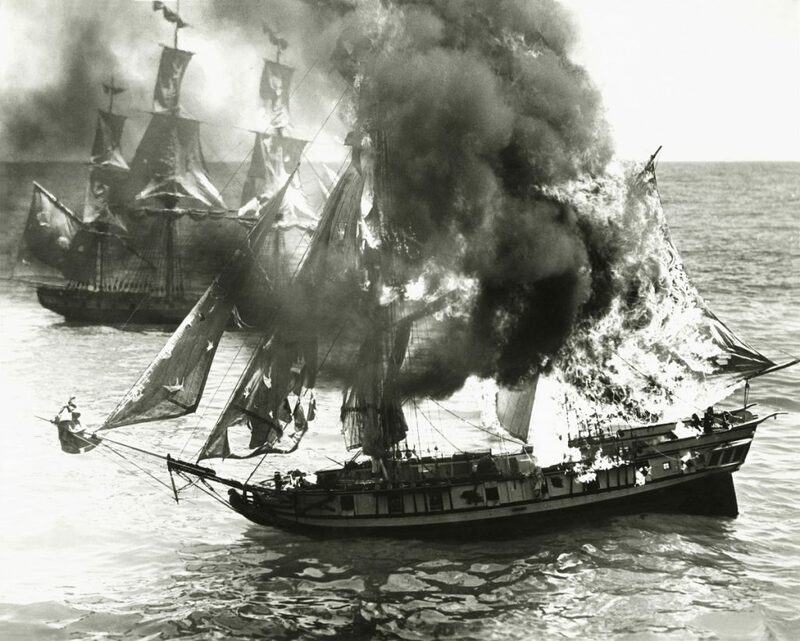 My understanding of this tradition is that it was a symbolic burning of Neptune’s flagship by the Seafair Pirates’. Yeah, I had to look it up, too. According to mythology, Neptune is the Roman god of the sea (counterpart to the Greek’s Poseidon, in case you were wondering that, as well). The Seafair Pirates are ceremoniously led by an appointed bad-boy “Captain Kidd”, a once and real pirate from the 17th century. Anyway, Kidd has some beef with Neptune. So, they blow his ship up. Why not? Burning (and exploding and sinking) a ship at Seafair became a tradition that lasted into the 1960s. I don’t recall hearing about ship burning events in my childhood, which seems odd as it must have been quite spectacular. Anyway, ship burning stopped when the supply of derelict ships ran out. Not to mention before the advent of the EPA in the 1970s. 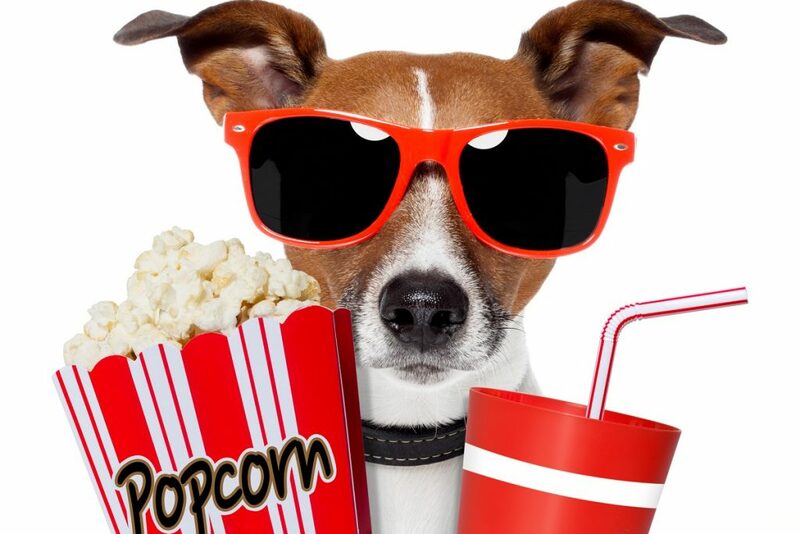 But, I digress…. Unlike ship burning, I fondly remember the Aqua Follies. 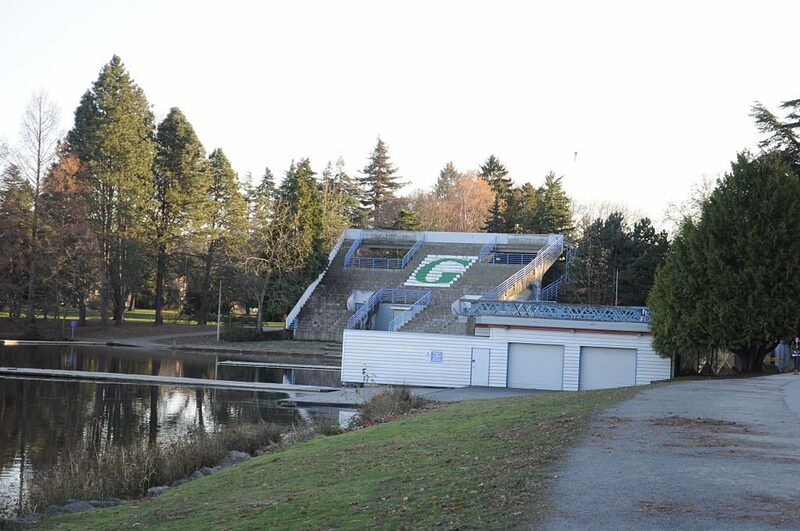 Constructed in just 67 days on the southwest shore of Green Lake in north Seattle, the Aqua Theater stage and concrete grandstand was completed just days before the first Seafair festival opened in 1950. For nearly two decades, the theater-on-the-lake hosted sell-out crowds of over 5,000 ticket holders for summer opera productions, comedians including Bob Hope, jazz festivals, rock bands, and the once-and-famous acrobatic water follies, complete with diving clowns and synchronized swimmers. Pretty fun stuff. In the later part of the 1960s, the quirky outdoor theater fell out of favor—too wet, too small, too far north of downtown. A Led Zeppelin concert in April 1969, followed by the Grateful Dead in August were two of the final concerts at the Aqua Theater. (It’s rumored that these performances contributed to the demise of the theater. The theater was condemned shortly thereafter. Draw your own conclusions). Most of theater was demolished by 1979 and a new boat house constructed to accommodate rowing, sailing, and canoeing groups, which occupy the space today. (See 2009 photo above). Read more about the Aqua Theater history at http://www.historylink.org/File/1052 and http://www.historylink.org/File/4224 and http://www.seattlecanoekayak.club/index.php?id=history and http://www.greenlakecrew.org/?page_id=143. The Seafair Pirates Landing kicks off Seafair by storming the shore of Alki Beach in West Seattle. Their revelry includes shooting off cannons, waving swords, and sometimes scaring the wee tykes to tears (so maybe warn them ahead that it’s all make believe). The pirates are volunteers, one of five volunteer groups that make Seafair happen. 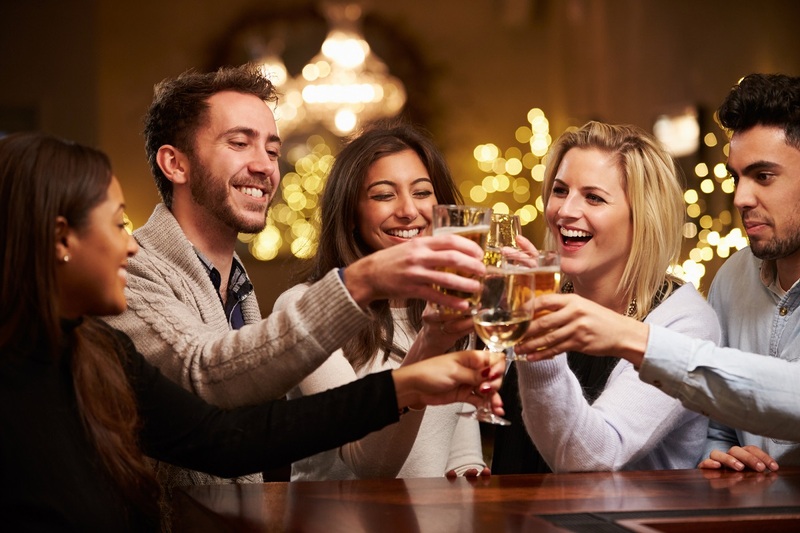 Find more information about the Volunteer Ambassador Groups below. Seafair Milk Carton Derby is a quirky celebration of creativity and boatmanship conceived in 1972. The Derby typically features 100-or-so human-only powered boats, constructed using a minimum of 50 one-half gallon milk cartons, plus chicken wire or plastic mesh. The Derby is divided into several vessel and age categories. Children, adults, families and businesses register to build and race milk carton watercraft. The boat builders compete for prizes and bragging rights. Awards are given for originality, workmanship, methods of movement, and speed. Boat builders pay a registration fee. Spectators watch the fun for FREE as they cheer from the shoreline. At the end of the derby, the boats are dismantled and recycled (of course, this is Seattle). 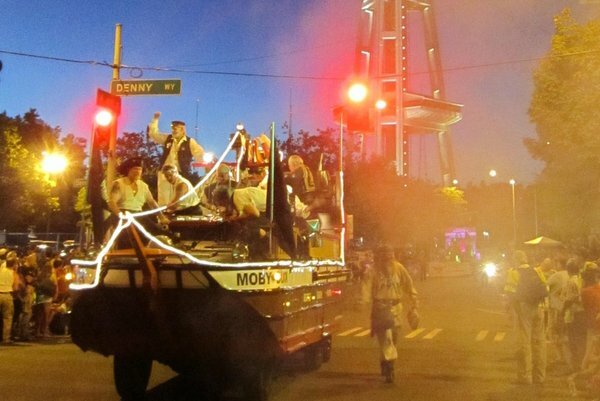 The Torchlight Parade always occurs on the Saturday night before Seafair Weekend. Thousands of spectators gather along 4th Avenue in downtown Seattle to watch more than 100 parade units, including marching bands, drill teams, floats, royalty, equestrians, and more. The parade starts at 7:30pm and goes until twilight. Seafair Weekend is the culmination of the summer festival, though some community events occur after the “big” weekend is over. 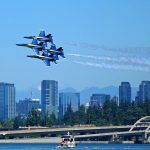 Highlights of Seafair Weekend include the hydroplane boat races, the Blue Angels performance, a complete air show, and a wakeboard competition, plus food and vendor booths along the southwestern shore of Lake Washington. The hydroplane race finale always takes place on the first Sunday in August, which determines the dates for the 3-day weekend event. Spectators line the shore of Lake Washington, as well as languish in boats along the log boom in the middle of the lake. Seafair volunteer “families” are an integral part of Seafair. These tireless goodwill ambassadors can be found at Seafair events (sometimes behind the scenes), as well as representing Seafair and Seattle in service projects throughout the year. They include five key groups: Pirates, Clowns, Boat Club, Commodores, and Parade Marshals. 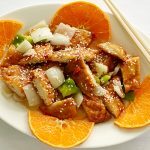 The following gives a summary of the work they do and a link to more information, should you wish to join their cause in any way. Seafair Pirates come from many professions but are, generally speaking, 40 scary looking guys. A leader, the nefarious Captain Kidd, is appointed each year to oversee the salty troupe’s shenanigans aboard their formidable carriage, the street-savvy MOBY DUCK. Despite their bad-guy image, the Pirates make dozens of charitable appearances annually to hospitals, nursing homes and charity functions, all while promoting Seafair and the Seattle community. 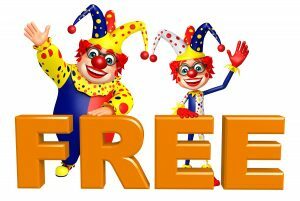 Seafair Clowns participate in Seafair community festivals and parades, as well as visit nursing homes and hospitals throughout the year, raise money for charity, and spread laughter and good cheer wherever they go. Seafair Boat Club supports Seafair’s water-oriented activities, such as the Milk Carton Derby on Greenlake in July, the Hydroplane Races on Lake Washington in August, and the Special People’s Holiday Cruise in December. 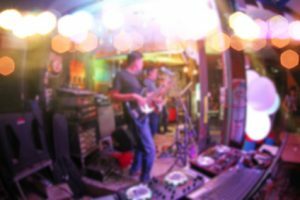 Seafair Commodores is active year-round at festivals throughout the Northwest and British Columbia, as well as participating in many community service projects. 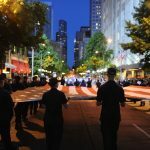 Seafair Parade Marshals assist in the planning, promotion, and production of the Seafair Torchlight Parade, as well as assisting in more than 20 different communities and local parades. Here are a few more elements that make Seattle Seafair what it is. 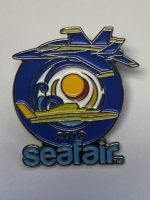 Fundraising for the first Seafair included a Seafair lapel pin that sold for $1.00. A new pin is designed and sold each year and many Seattleite’s cherish their collection. A 2018 Seafair Skipper pin will set you back $6.00. Today, you can buy historic Seafair skipper pins and hydroplane pins on ebay and on Etsy you’ll find more Seafair pins. Seafair Royalty has been a part of Seafair since its beginning in 1950, though the selection and composition of the “royal court” has changed over time. Since 2000, Seafair has crowned one man as King Neptune and one woman as Queen Alcyone. 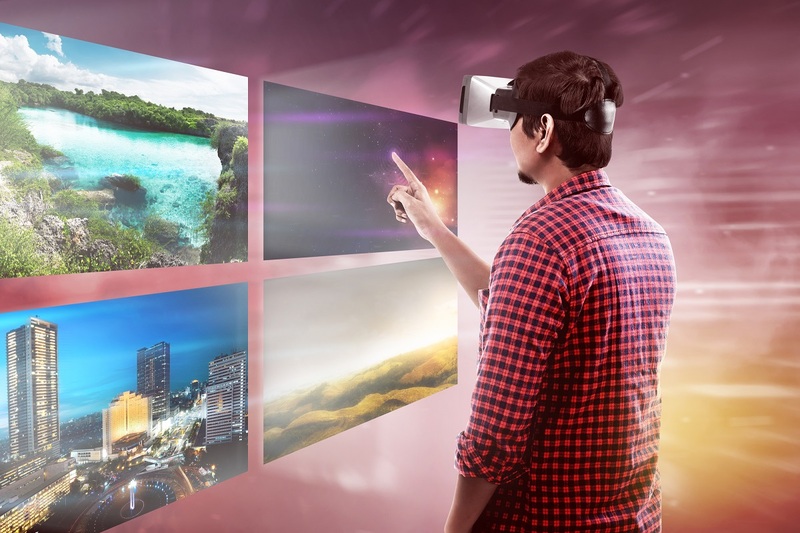 This couple is chosen based on their philanthropic contributions to the Puget Sound region and ability to inspire the communities in which they live. Miss Seafair is selected through the Seafair Foundation’s Scholarship Program, based on her academic abilities, public speaking skills, and community service. Seafair Royalty participate in festival events, media interviews, and activities to celebrate the tradition of Seafair and the community spirit of greater Seattle. 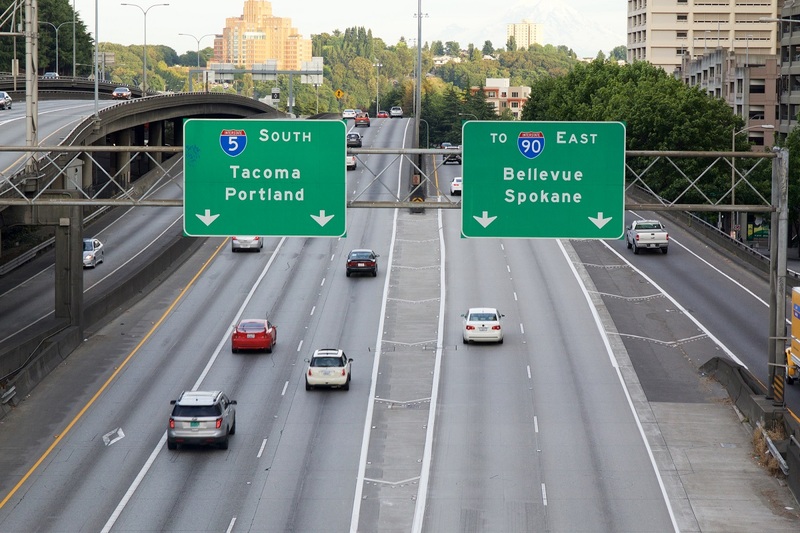 Many people think “Seafair” is only about the Blue Angels and the hydroplane races over Seafair Weekend. This has never been true. 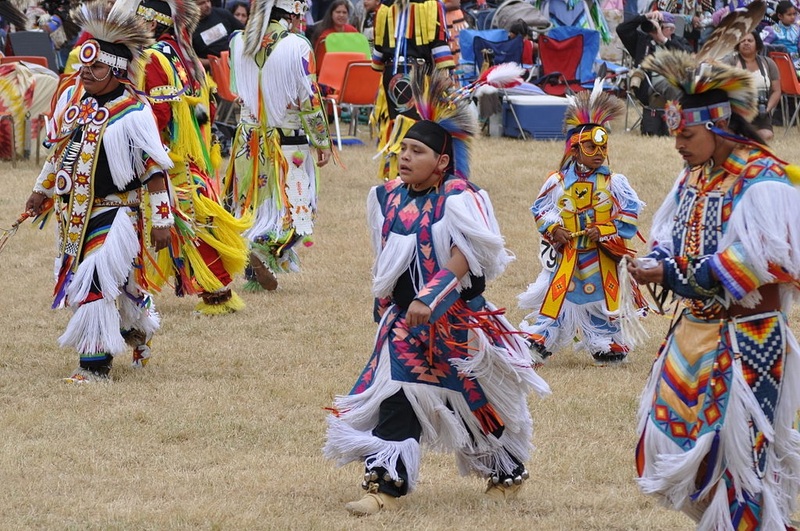 Many community events throughout the region make up Seafair. In reality, Seafair has always been a festival of festivals. 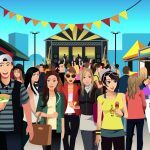 For a list of current festivals, see our list of Seafair sanctioned community events in Seattle and around King County.